Tidying my craft room has uncovered lots of gems, like this paper and cardstock, that I’d forgotten I owned. I’ve used gumball green co-ordinations cardstock for the background, embossing one edge with the decorative dots embossing folder, then sanding back to reveal the lighter colour beneath. The cute main image has been water-coloured using ink pads and a water brush on water-colour paper. The colours of the snow festival dsp and gumball green card complement the image beautifully. I hope you like my card for this week, and I can’t wait to share the rest of the challenges I’ve designed. Now it’s time to take a look at what our lovely Design Team has been creating for you at 52 Christmas Card Throwdown. World Wide Open Design Team Challenge. 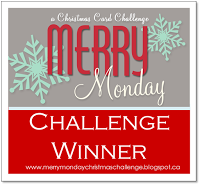 Tags: Holly Jolly Christmas, More merry messages, Stampin' Up! Thanks Faith, he is a cutie, isn’t he? So glad you like the sketch – maybe we will see one of your cards entered at 52CCT? Thank you Annette, I love him too – he was fun to water-colour. Absolutely adorable! Mr Hedgie is really cute and beautifully coloured. I do like the sanded dotty embossed background too. Love this sketch – thanks for a fun one Gill! Hi Deborah, so glad you liked it. He is adorable, and fun to colour too. Thank you Tanja, that is kind of you to say. He’s so cute! Perfect colouring, I like the embossing too, looks like water droplets! Thank you Louise – he was fun to colour. Thanks for your kind comments Patricia. He is adorable isn’t he? I had a relaxing half-hour colouring him in. Just so beautiful. Thank you for entering the 2015 World Wide Open Design Team Challenge. So good to see you back at Merry Monday, Gill! Love this adorable image! Thanks for sharing it with us at Merry Monday! 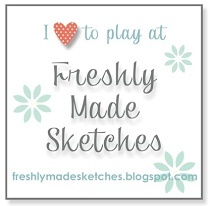 Such an adorable image and love the paper you used – really great design! Thanks so much for joining us at Merry Monday! Lovely card. Thank you for entering the 2015 world wide open DT challenge. Good Luck! What a brilliant card!! So pleased you’ve brought it along to CCAYR! !